Military upgrade on border lags Chinese modernisation. India will only be making incremental improvement in its military infrastructure along the border with China, even as its most ambitious plan for dealing with the neighbour’s military prowess is stuck due to a resource crunch. Military officers call India’s China strategy “timid” and in no way matching the aggressive modernisation by the communist neighbour of its border capabilities and overhaul of its military structure. “The momentum is lost,” a senior officer said, on the adverse impact of lack of resources for the military infrastructure upgrade along the border. The Indian Air Force, which re-launched two upgraded Advanced Landing Grounds (ALGs) on Saturday in Arunachal Pradesh, will upgrade six more of those World War II vintage strips in the border State. The entire project, approved in 2009 and budgeted at about Rs.1,000 crore, has been inching ahead to provide better logistical access for airdropping troops and equipment in forward areas. The IAF has upgraded three of the ALGs with paved runway surfaces and facilities such as aprons for ground manouevring, air traffic control towers etc. It says the new runway surfaces and other infrastructure are at par with any other modern airfield in the country. Three more ALGs — Mechuka, Pasighat, Tuting — are scheduled to be inaugurated in the next three months. “Those are good moves, but not good enough,” a senior military officer dealing with the China border says, pointing out that these are incremental but not enough to catch up with the Chinese modernisation and threat from across the border. Most Indian languages, in greater or lesser degree, trace their roots in Sanskrit. In that sense, more than a mother tongue, Sanskrit is a grandmother tongue. The Censuses do not indicate how many people in India actually speak Sanskrit. It is clear that Sanskrit was not restricted to kshatriyas and brahmanas. I stand before you as a representative of an old civilization, to speak about an old language. This is a celebration of International Mother Language Day. Acknowledging Bangladesh’s role in getting the UN system to give 21 February that recognition, let me refer to it as আন্তর্জাতিক মাতৃভাষা দিবস. I wish to speak to you about संस्कृत (Sanskrit). I cannot say that Sanskrit is my mother language, my mother tongue, my মাতৃভাষা. It is much more than that. Indians are multi-lingual. Because of the fuzzy border between language and dialect, I can’t even tell you how many languages are spoken in India. Around 125 are major languages, but another 1500 minor languages are spoken. In a way, each of these is a mother language. 22 languages are listed in a Schedule to the Constitution. This gives them an official kind of status. Sanskrit is one of these and Sanskrit also has official language status in a State like Uttarakhand. Once every ten years, we have a Census. The last Census was in 2011, but we still don’t have the details from that Census on India’s great linguistic diversity. For the preceding Censuses, the number of people who reported Sanskrit as a mother tongue was 2,212 in 1971, 6,106 in 1981, 49,736 in 1991 and 14,135 in 2001. That is no indicator of how many people in India actually speak Sanskrit. As I have said, India is multi-lingual. Indians speak more than one language. For Sanskrit to be the first language or mother tongue is rare. But it can be the third or fourth language. We don’t capture that. Hence, we don’t know how many Indians speak Sanskrit. We capture this imperfectly and inadequately. That’s also probably the reason why those Census numbers show that kind of fluctuation from one Census to another. In the initial years of these Sahitya Akademi awards, works on Sanskrit, not necessarily in Sanskrit, were also given awards. However, since 1967, those awards have been restricted to works written in Sanskrit. True, there hasn’t been an award every year. But since 1967, forty-two authors have been given such awards on works straddling research, poetry, epic poetry, biography, novels and short stories. In a separate Sahitya Akademi category of literature written for children, compositions in Sanskrit have been conferred awards. There are many Sanskrit academies which give awards to works in Sanskrit. There are 15 Sanskrit universities. Several schools teach Sanskrit. There are thousands of Sanskrit colleges and traditional “toll”s which are affiliated to the Sanskrit Universities. Since 1970, the Rashtrya Sanskrit Sansthan, a deemed university, has existed to propagate and develop Sanskrit. Films have been made in Sanskrit; not thousands of years ago, films didn’t exist then. Adi Shankaracharya, conventionally dated to 788-820 CE, was a great philosopher and religious teacher. In 1983, a film in Sanskrit was produced on his life. However, Modi’s meeting with Saudi Arabia’s sixth king, the late Crown Prince Salman bin Abdulaziz Al Saud on the sidelines of the G20 summit in Brisbane, Australia later in 2014 made clear that even if the members of the Gulf Cooperation Council (GCC) had reservations, India was too important to risk upsetting relations. The two pivotal diplomatic events between Riyadh and New Delhi have taken place within the last decade or so, namely the Delhi declaration (2006) and the Riyadh declaration (2010). The former was a historic moment, as then King Abdullah bin Abdul Aziz Al Saud became the first head of the House of Saud to visit India in 51 years. During his visit and following consultations with Indian Prime Minister Manmohan Singh and his administration, the two countries revisited ties to strengthen cooperation and engagement. More importantly, this visit also laid the groundwork for much greater security, intelligence sharing and counterterrorism cooperation. The Eastern Highway that connects Chengdu in Sichuan Province and Linzhi (Ngiti) in the TAR up to Lhasa. The highway, originally called the Kangding-Tibet Highway, is a high-elevation road starting from Chengdu, capital of Sichuan province, on the east and ending at Lahsa, capital of TAR, on the west. With a South Line length of 2,115 kilometres and North Line length of 2,414 kilometres, building of Eastern Highway started in April 1950, and was opened for traffic on 25 December 1954. The Central Highway connects Xining in Qinghai Province to Lhasa. Also called the Qinghai-Tibet Highway, this road network was opened along with the Eastern Highway in 1954. It was asphalted in 1985 and is said to be the world’s longest asphalt road. More than 80 percent of freight transport go via this highway. Three major overhauls of the highway has cost nearly three billion yuan ($362 million). The Western Highway connects Xinjiang Province to the TAR, by linking Kashgar and Lhasa. After a diversion to Khunjerab Pass it subsequently becomes the Karakoram Highway and touches Gilgit in Pakistan-occupied Kashmir (PoK). It is 3,105 kilometres long. In November 2013, China opened an all weather road linking Medog County in the TAR, which is also close to the Indian border in Arunachal Pradesh (referred as ‘South Tibet’ by China), to the rest of China. With this, every TAR county is connected to a highway network in China. In July 2013, the Chinese government announced that it will spend about 200 billion Yuan or $32.3 billion to build a road network centred around Lhasa and extend the combined length of the TAR’s highways to over 110,000 kilometres. Expanding its communication network is yet another important feature of integrating the border region with the Chinese mainland. As many as 665 townships of the TAR have been connected with Optic Fibre Cable (OFC). This project effectively covers 97.5 percent of all townships in the TAR. About 3231 villages (61.4 percent of all villages) have access to broadband internet. As per a 2015 estimate, China has positioned about 300,000 People’s Liberation Army (PLA) troops and six Rapid Reaction Forces or RPF at Chengdu in the TAR. The focus seems to be on creating a reliable and robust support system for this front line force. For instance all Military Supply Depots are connected to Lhasa by radio and OFC establishing real-time connectivity. China has a single unified Commander responsible for the armed forces in the TAR and along Indian border. The most important line of support for the border forces, however, is the air mobility and helicopter-borne military operations. China already has five operational airfields in the TAR region- at Gongar, Pangta, Linchi, Hoping, and Gar Gunsa. Plans are underway to construct newer airfields and upgrading advanced landing grounds (ALGs) and helipads which will strengthen People’s Liberation Army Air Force (PLAAF) fighter aircrafts’ striking range. The PLAAF operations has apparently intensified since 2012 when it carried out weapon firing trials at high altitude ranges in the TAR for the first time. Currently, two regiments of 24 aircraft, J-10s and J-11s, operate virtually on a permanent basis from the TAR airfields. Their operational philosophy in TAR is said to be focusing on strong air defence to create local air dominance, and support to ground forces primarily for integrated airborne assault operations. The Karakoram Highway (KKH) that connects Abbottabad in Punjab (Pakistan) to Kashgar in Xinjiang region of China has generated much concerns in New Delhi. The Karakoram ranges also form the de facto border along the LAC. It consists of the Ladakh region in India, Gilgit-Baltistan region in Pakistan Occupied Kashmir (PoK) and touches the Aksai Chin region occupied by China. The construction of Karakoram Highway, China’s only overland link to Pakistan, began in 1967. Initially built jointly by Pakistan and China, it is maintained by China. There are proposals to transform KKH into an economic corridor, also referred to as the Karakoram Corridor (KC), by making it into an all-weather expressway. Five 7 seven kilometre-long tunnels have been constructed to ensure year-round land connectivity. In September 2015, the Pakistani Prime Minister Nawaz Sharif inaugurated the tunnels, also called Also called the Pakistan-China Friendship Tunnels. Fears have been expressed in New Delhi that these tunnels could be used not only for rapid movement of troops and material from China and Pakistan or for stationing missiles in PoK. During the Soviet War in Afghanistan the highway was used to equip the Taliban. Pakistan had also used this road network to ship American weapon systems to China for reverse engineering. China can indeed use the KKH network to watch over Indian activities in the region through listening posts and advanced surveillance bases in PoK. The air fields in PoK might be used against India by the People’s Liberation Army Air Force (PLAAF) to its benefit. With the unveiling of the $46 billion China Pakistan Economic Corridor (CPEC) in April 2015, the KKH has assumed a new strategic dimension. The corridor will extend the KKH till Pakistan’s port city of Gwadar in Balochistan. Once the Gwadar port is connected to the KKH through the CPEC, it will help transport of goods docked at Gwadar port directly to China. Analysts suggest the corridor will help China evade any threat from Indian or US naval presence in the Indian Ocean. Railway networks seem to be the next line of strategy for China to enhance accessibility to the LAC. 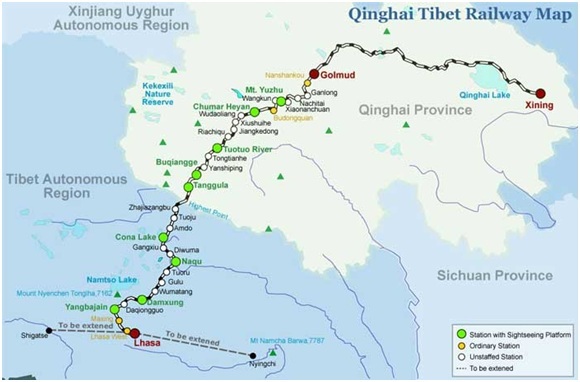 Networks like the well known Qinghai-Tibet Railway connecting to Lhasa, is said to be focusing on mobility of troops in the LAC. 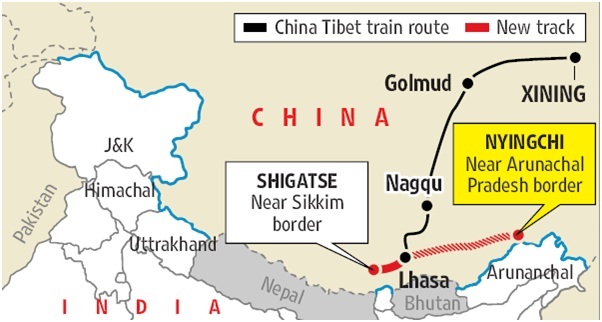 The Lhasa–Shigatse or Lari Railway line, which was completed in July 2014, connects Lhasa to the city of Shigatse or Xigaze, which borders India’s Sikkim, apart from Nepal and Bhutan. Similarly, China has also started construction of the Lhasa-Nyingchi railway line in 2012. Nyingchi is a prefecture-level city in southeast of the TAR. 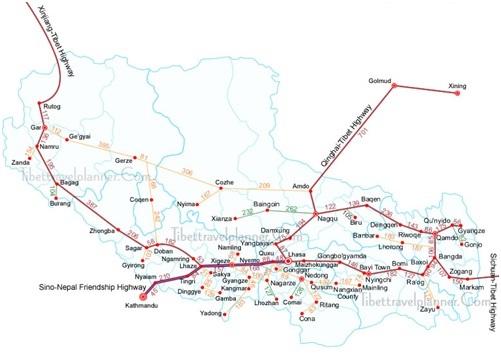 As per reports, the Lhasa to Nyingchi line will be 402 kilometers long, costing $6 billion. The Aadhaar Bill opens the door to mass surveillance. This danger needs to be seen in the light of recent attacks on the right to dissent. No other country, and certainly no democratic country, has ever held its own citizens hostage to such a powerful infrastructure of surveillance. The Aadhaar project was sold to the public based on the claim that enrolment was “voluntary”. This basically meant that there was no legal compulsion to enrol. The government and the Unique Identification Authority of India (UIDAI), however, worked overtime to create a practical compulsion to enrol: Aadhaar was made mandatory for an ever-widening range of facilities and services. It became clear that life without Aadhaar would soon be very difficult. In these circumstances, saying that Aadhaar is voluntary is like saying that breathing or eating is voluntary. Legal or practical, compulsion is compulsion. It took the Supreme Court to put an end to this doublespeak. In March 2014, the court ruled that “no person shall be deprived of any service for want of Aadhaar number in case he/she is otherwise eligible/entitled”. This was a very sensible interpretation of what it would really mean for Aadhaar to be voluntary. Throughout the proceedings, incidentally, the Central government stood by the claim that Aadhaar was a voluntary facility. The Supreme Court did nothing more than to clarify the implications of that claim. It is important to note that Aadhaar could work wonders as a voluntary facility. A certified, verifiable, all-purpose identity card would be a valuable document for many people. But the UIDAI has never shown much interest in the Aadhaar card, or in developing voluntary applications of Aadhaar. Instead, it has relentlessly pushed for Aadhaar being used as a mandatory identification number in multiple contexts, and for biometric authentication with a centralised database over the Internet. That is a very different ball game. The Supreme Court order caused consternation in official circles, since it ruled out most of the planned applications of Aadhaar. The Aadhaar Bill, tabled last week as a money bill in the Lok Sabha and passed by it, is the Central government’s counter-attack. Under Section 7, the Bill gives the government sweeping powers to make Aadhaar mandatory for a wide range of facilities and services. Further, Section 57 enables the government to impose Aadhaar identification in virtually any other context, subject to the same safeguards as those applying to Section 7. There may indeed be a case for a fresh look at Section 124A of the Indian Penal Code dealing with sedition, but one must not allow this academic debate on the validity of such a provision to cloud the core issue that is before us, namely, the shameful assault on our Constitution and the challenge posed to India’s unity and integrity by a bunch of students at the Jawaharlal Nehru University in New Delhi and in the Jadavpur University campus in West Bengal. Just read the contents of the poster put up in JNU for the controversial event held on February 9 last and you will realise that centrifugal forces have begun to exert pressure on the nation’s core. The poster said it was a “cultural evening of protest” (whatever that means) with poets, artists and singers. It said this event was “against the judicial killing of Afzal Guru and Maqbool Bhat; in solidarity with the struggle of the Kashmiri people for their democratic right to self-determination”. Further, it said there would be an art exhibition and a photo exhibition portraying “the history of the occupation of Kashmir and the people’s struggle against it”. It invited everyone “to join us in protest, in rage against the occupation and in solidarity with the valiant people of Kashmir”. Afzal Guru, Maqbool Bhat, zindabad’; Bharat ki barbadi tak jung rahegi, jung rahegi; Go India, Go Back; Indian Army murdabad; Bharat tere tukkde honge, Inshaallah, Inshaallah; Afzal ki hatya nahi sahenge, nahi sahenge; and finally, Bandook ki dum par lenge azadi. The High Court judge was apprised of the sequence of events leading to the controversial incident on February 9. A group of students initially sought and secured permission for a ‘cultural evening’ at the Sabarmati Dhaba in JNU campus. Later, JNU authorities realised that some mischief was afoot when they saw the posters put up in all the hostels. These posters referred to the ‘judicial killing’ of Afzal Guru and Maqbool Bhat. Apprehending trouble, the university authorities cancelled the permission given to the organisers and also called in the police. That evening ‘the shouting of anti-national slogans continued unabated. The High Court was also given a set of photographs which showed students holding posters with photographs of Afzal Guru, who was one of the masterminds behind the attack on India’s Parliament in December 2001. In other words, in the name of ‘democracy’ and ‘free speech’, they were espousing the cause of a terrorist who planned the assault on our temple of democracy! The posters put up in Jadavpur University went even further. One poster said: “Hum kya chahe — Azadi: Kashmir ki azadi; Nagaland ki azadi; Manipur ki azadi” . Shockingly, there are professors in JNU and elsewhere who claim that these slogans fall within the ambit of ‘freedom of expression’ guaranteed under Article 19(1)(a) of the Constitution! Let’s get something right about Vijay Mallya. The popular narrative is that he milked the banks for Rs 9,000 crore to support his hedonistic lifestyle in India and abroad, and took off when the debt burden became excessive or no more money was forthcoming to evergreen his debts. But we seem to forget that he enjoyed a hedonistic lifestyle much before Kingfisher Airlines and he had much money to spread around even before Kingfisher Airlines. The Rs 9,000 crore he is now found to owe the public sector banks and others is the money he lost on Kingfisher Airlines. I understand the loan money is about Rs 4,000 crore and the rest is interest and the interest on interest. The banks just kept lending him money to evergreen its loans. This was not possible without political and bureaucratic support. Even if one little joint-secretary or one little MP or one little bank manager red-flagged the growing stain of red on Kingfisher Airlines’ debts, the bleeding would have been staunched. Mr Mallya did not milk just the banks to keep Kingfisher Airlines afloat; he also milked his own companies, such as United Breweries and United Spirits, to support its flight into the deep red. When a business makes a loss, it doesn’t always mean the money was stolen. It often means that it has spent more money than it has earned. This means Kingfisher Airlines employees got paid for all the years, except the last year, most of the time when the airline did not fly, the oil companies got paid for aviation turbine fuel supplied, the leasing companies got paid for the planes hired, the caterers got paid for the meals supplied on board, the airports got paid their landing and parking fees, and the taxes and cesses due for the most part were paid. All during this period, Kingfisher Airlines did not sell enough seats to cover the costs, or just spent more money than it earned. The question then is why was Mr Mallya lent money when quite clearly Kingfisher Airlines increasingly showed it had a business model that precluded it from earning money? The 20th century saw two developments that shook the Islamic world. The first was World War I, which triggered the collapse of global Islamist ambitions, with the dismantling of the Ottoman empire and end of the Caliphate. The creation of Israel and the dispossession of Palestinians in 1948 brought Muslims worldwide together to destroy the Jewish state determined to end the injustice done to fellow Muslim Palestinians. The 1967 Arab-Israeli conflict proved disastrous for such ambitions, as the Arab armies of Egypt, Syria and Jordan were routed, with Israel capturing large tracts of their territory and, most importantly, taking control of the holy sites of Judaism, Christianity and Islam, in Jerusalem. The defeated Arabs responded in 1969 by establishing the Organisation of Islamic Cooperation (OIC) in a summit meeting of Islamic countries in Morocco, with the aim of uniting the Muslim “Ummah” against Israel. Not surprisingly, Pakistan had its own aims in participating in the OIC, which now has 57 members, with headquarters in Saudi Arabia. Its ambition was to mobilise the Islamic world against India and secure support for its claims in Jammu and Kashmir, while pledging allegiance for the Arab cause, on ending Israeli occupation of Muslim lands. This was accompanied by a worldwide effort to persuade Muslims and Islamic countries to unite against alleged atrocities targeting Muslims in India, particularly in J&K. Pakistan also used its nuclear ambitions to persuade Saudi Arabia, Iran and others that it would transfer nuclear capabilities to enable them to counter Israel’s formidable stockpile. What followed was massive flow of money to Pakistan from oil-rich Islamic states, together with diplomatic support, with OIC recognising and backing the Hurriyat as the sole and legitimate representatives of Muslims in Kashmir. Pakistan’s diplomatic efforts are now coming apart, as the mirage of religion-based unity among Islamic countries is being torn apart by sectarian strife between Shias and Sunnis, and civilisational fault lines between Iran and its Sunni Arab neighbours. The carnage in Yemen and Syria reflect these fault lines. The conflict in Syria is pitting Shias backed by Iran, Iraq and the Hezbollah, against Sunnis backed by Saudi Arabia, Qatar and Turkey. It has led to 0.25 million Syrians losing their lives and 11 million fleeing homes. In Yemen, Saudi Arabia is determined not to allow an Iranian-backed regime dominated by Shia Houthis to take charge of the country. Saudi Arabia has put together a coalition of 34 Sunni Islamic countries to take on the ISIS, which is seen as a threat to its conservative monarchy. More importantly, the Saudi effort is geared to containing Iranian influence in Syria and elsewhere in its neighbourhood. India’s relationship with China goes far beyond security issues. The India-China relationship is a far more complex and multi-layered one than many U.S. analysts realize. Both countries are trying to find common ground in a number of areas. It was surprising to discover that the views of many U.S. analysts mirror skeptics in the strategic community in India. Both tend to view the India-China relationship solely from the prism of security issues and territorial disputes while ignoring key state-level economic ties. I met off-the-record with about 40 strategic analysts and policymakers in Washington, D.C., during a SAV visiting fellowship at the Stimson Center. Some Americans, I found, had a good grasp of South Asian politics, while others were way off the mark. Perhaps the greatest misconception I came across in D.C. concerns the India-China relationship. Most conversations focused on the contentious aspects of the relationship, and ignored an unnoticed transformation taking place between Beijing and Delhi. If Americans fail to recognize the nuances in the relationship between China and India, their Asia policy is bound to be heavy-handed and Washington could lose an opportunity to shape regional politics in a positive way. I found that there are a handful of reasons why U.S. analysts are out of sync with the changes taking place in the Beijing-New Delhi relationship. First, a focus on hard security issues and territorial disputes detracts from serious analysis of the India-China economic relationship and progress in other areas. While there are certainly major divergences in the strategic sphere apart from territorial disputes between the two countries, the strongest stress on the relationship does relate to China’s inroads into South Asia. China, of late, has been pitching to increase its influence in the Indian Ocean through Myanmar by building a deep-water port, which includes a special economic zone (SEZ) at the cost of US$280 million. The project is coming up at Kyaukphyu in the troubled southwestern Rakhine Province of Myanmar. The Kyaukphyu SEZ project was awarded to a six-member international consortium headed by one of China’s biggest conglomerates, Citic Group, through a “fair and open bid” in December 2015.1 Four other Chinese industrial and investment groups and one of Thailand’s biggest conglomerates, Charoen Phokphand, are the other members of the consortium. The project is expected to contribute about $10 billion to Myanmar’s annual GDP by 2025, while 90 per cent of the project managers would be Myanmar citizens. The Kyaukphyu project would provide China an effective connectivity with the Indian Ocean than any of the so called “string of pearls”, including the Gwadar port in Pakistan. The current military government of Myanmar has set aside 1708 hectares (4289.32 acres) for the Kyaukphyu SEZ, which would comprise two deep-sea ports of 148 hectares and 95 hectares, a 978-hectare industrial zone, and a high-end housing project covering 494 hectares. The project is adjacent to the landing point of the dual pipeline that transports gas and crude oil to China. During President Thein Sein’s visit to Beijing in May 2011, a memorandum of understanding (MoU) was signed between Myanmar’s rail transport ministry and China’s state-owned Railway Engineering Corporation to build a rail line linking Kyaukphyu with Kunming, capital of the Yunnan Province of China. Later, in July 2014, the construction ministry of Myanmar announced that the No. 2 Union Highway and the Kyaukphyu-Magway route will be upgraded for better connectivity with the SEZ. It is noteworthy that after the reformist government of President Thein Sein re­placed the military junta in 2011, Chinese investment in the na­tion had plummeted – from approximately $12 billion between 2008 and 2011 to just $407 million in 2012-13 due to the suspension of $3.6 billion Myitsone Dam project by the Myanmar Government in view of strong domestic opposition. The then Myanmar Government instead encouraged Western investment to modernise the nation. Until 2012, Chinese state-owned companies had dominated Myanmar's oil and gas sector. However, of the total 36 oil and gas blocks Myanmar awarded to 47 companies in 2013-14, none were given to any Chinese firm. During this period, Thai, Singaporean and Hong Kong companies were among the top three direct investors in Myanmar. China is careful of the regime change in Myanmar. Generally Beijing works well with dictators and gets concession for trade and investment. However, the latest episode in Sri Lanka, where it lost strategic ground to India after the new president Maithripala Sirisena renegotiated the $1.4 billion Colombo port city project after a nine-month suspension of the project. China had earlier faced trouble in Myanmar itself in the form of local protests against the Letpadaung copper mine project in the northwest of the country. Before, in 2010, Myanmar Government had to suspend a $3.6 billion Chinese-led Myitsone Dam project because of the local opposition, as almost 90 per cent of the power was expected to have gone to China. Beijing now wants to avoid similar situation in the case of Kyaukphyu project given its huge strategic value. Could anyone imagine even six months ago that Shahbaz Taseer, son of Pakistan’s slain Punjab Governor Salman Taseer, would be freed from his Taliban or Uzbek captors after nearly five years in captivity? Despite friends’ prayers, his circle of admirers and onlookers had given up hope. Perhaps the Taseer family had better hope as it was secretly negotiating with the captors. But his return remains as much of a mystery as his disappearance. No one knows why he was kept for five years and why it took so long to negotiate his return. However, the release is made to look like a turn of events from the sordid and the tragic to a new beginning for Pakistan. This despite the fact that there is an absolute lack of clarity regarding the role of security agencies in the release. So, for all one cares, the younger Taseer’s release was, by coincidence, a week after Mumtaz Qadri, his father’s killer, was hanged on the orders of the Pakistan Supreme Court. But it has been all made to look like things were following a natural sequence indicating Pakistan’s metamorphosis from a Taliban-ridden state to a haven for liberalism. Glancing through Pakistan’s English-language press, it seems that we are back to discovering the good old Pakistan. Many in the national and international media have presented these events as a much-awaited shift towards peace and stability that was made possible only due to a perceived change in the military’s thinking. Operation Zarb-e-Azb, which begun in June 2014 and was aimed at terrorists ensconced in the tribal areas in the north of the country, is viewed as a precursor to some kind of a metamorphosis. We hear of some sort of mutation in the attitude of Pakistan Prime Minister Nawaz Sharif, who was earlier criticised by liberals as representing a soft form of the Jamaat-e-Islami. It’s his President Mamnoon Hussain who bravely ventured to reject Mumtaz Qadri’s appeal against his death sentence. Moreover, he was quick in announcing “prompt action” against the perpetrators of the Pathankot attack, and a police report was indeed initiated against un-named assailants. But almost 400 km away from where the Taseer family is rejoicing its reunion with its son is the evolving shrine of Mumtaz Qadri in the Bara Kahu neighbourhood in the suburbs of the capital city, Islamabad. The grave, which was dug in the middle of an empty ground and is likely to turn into a blooming shrine, attracts hundreds of people every day who come to pray for his forgiveness and salute his bravery for and commitment to standing up for his religion and dying for it. There are flowers strewn on his grave every day and free food served to whoever visits, which is bound to attract more people. Over 2,50,000 people attended the funeral of a man who is a criminal in the eyes of Pakistan’s Supreme Court. But here we are. The USSR is no more. The Warsaw Pact is gone. Gorbachev is doing Pizza Hut commercials. America clearly prevailed in one of the most spectacular geopolitical contests of our time—all without the burning embers of a nuclear fire that could have killed billions. And while American’s today might make light of the past Soviet threat and its subsequent rapid collapse, one nation and its leadership is still very much interested in the death of the Soviet Empire: The People’s Republic of China. Indeed, one could make a compelling argument that Beijing’s leaders—certainly burning the midnight oil over the state of their economy and America’s pivot to Asia—when pressed, clearly fears ending up like the old Soviet state. In my travels throughout Asia in the last several years as well as at the sidelines of various conferences and gatherings it seems the Soviet collapse ends up being something Chinese officials make clear they will avoid. They fear the power they hold today could be swept away tomorrow—cast aside by corruption, overspending on the military, political paralysis, divisions in society and so on. So what does Xi Jinping and the Chinese Communist Party think really brought down the USSR? And what can they do to prevent it? For decades, rapid economic expansion in China has had a positive spillover effect on the Southeast Asian region, sparking unprecedented economic growth among smaller nations that lifted millions of people out of dire poverty and swelled the ranks of their middle class. The wealth effect gave impoverished villagers access to benefits Western nations take for granted: better roads, health care and education. Meanwhile, major infrastructure projects such as hydroelectric dams, bridges and airports opened up remote areas where previously only the indigenous and hardy were able to tread. The long-running, double-digit economic growth enjoyed by China specifically bolstered manufacturing south of the border, resulting in exports to China from the Association of Southeast Asian Nations (ASEAN) surging by about 20% a year for more than two decades. ASEAN comprises ten countries: Brunei, Cambodia, Indonesia, Laos, Malaysia, Myanmar, the Philippines, Singapore, Thailand and Vietnam. Recently, Southeast Asia further sharpened its clout as a trading bloc with the launch of the Association of Southeast Asian Nations Economic Community (AEC). But the gravy train could now be screeching to a halt. Fiscal realities are setting in, with China’s GDP growth slowing amid slumping commodity prices, regional currency devaluations and stock market volatility. It is a fall from grace that could threaten the broader region. “China’s growing prominence as a key market for ASEAN exports has increased the vulnerability of many ASEAN countries to China’s economic slowdown,” says Rajiv Biswas, Asia-Pacific chief economist for IHS Global Insight. Chinese economic growth slowed to an estimated 6.9% in 2015 and is expected to decelerate further to 6.3% this year, potentially the worst performance since the country’s economy was opened to the global market by leader Deng Xiaoping in the midst of the Cold War. His policies fueled a resources boom that enabled China to transform itself into the world’s factory floor and second largest economy. China expanded overland routes into Laos, Cambodia, Vietnam, Myanmar and Thailand through heavy investment that incorporated much of Southeast Asia into Chinese supply chains. Annually, ASEAN enjoyed 20% export growth. That growth gave China stature in the region, tempered by caution. However, few seemed to care while so much money was rolling in even as China asserted spurious territorial and maritime sovereign claims. If the Islamic State's brutal activities were confined to its original home in Iraq and Syria, a minimal amount of optimism on the part of counterterrorism strategists might be justified. Air strikes by the United States and its allies have taken their toll, not only in reducing the number of IS fighters in the field, but also in damaging its administrative infrastructure, such as by blowing up some of its money warehouses. But the residual strength of the Islamic State is its ability to metastasize. It has an estimated 6,500 fighters in Libya, it is actively recruiting in Pakistan, it is competing for influence with the Taliban in Afghanistan, and it has alliances of sorts with terrorist groups ranging from central Africa to Southeast Asia. And yet, we hear from top officials in the U.S. government, such as Special Presidential Envoy Brett McGurk, that the "caliphate is shrinking." In truth, it is expanding and becoming more dangerous. Consider the threat to Tunisia, which is the one country to emerge from the "Arab spring" on a path toward democracy. IS operatives from Libya have infiltrated into Tunisia, where a March 7 attack by IS gunmen left at least 53 dead. The Obama administration is considering a campaign of air strikes to hit IS in Libya. That is a tactical response, not a strategy. So too is the notion that the United States and its allies can kill IS fighters faster than the organization can recruit new ones. There is no evidence, outside the Iraq/Syria theater of operations, that this is happening. Over the long term, it will be crucial to turn off the IS recruiting faucet. Doing so will require counterterrorism officials to better understand that that the "snuff videos" for which IS has become so well-known are not the principal enlistment tools. Rather, than "come kill" the strongest message is "come build the caliphate." Summary: Mass immigration and the collapse of Greece’s economy have combined to bring the European Union to the breaking point. Now the two issues have merged as Greece becomes a gateway into Europe. Germany has loosened its grip on Greece, hoping to use it as a buffer state for the flow of migrants. It buys time for more drastic solutions, which so far they’re unwilling to take. — False NYT headline. German’s leaders embraced mass immigration. It’s people were not consulted. Germany and Greece were on opposing sides during last year’s negotiations over Athens’ third bailout program, but the European refugee crisis is forcing them to form a tactical alliance. The German government tried for months to treat the bailout program and the migration crisis as separate issues, but Berlin has now come to terms with the idea that Greece needs help on both. The Greek government, in turn, understands that cooperation with Germany is essential to prevent Greece’s isolation in the European Union and to receive the next tranche of bailout funds. Berlin is still trying to push for a unified European response to the refugee crisis. From the German government’s perspective, Europe needs to cooperate with Turkey to reduce the influx of asylum seekers entering EU states and member states need to enforce the EU plan approved in late 2015 to apportion asylum seekers among member states. Greece is key to both goals. Germany needs Greece to become more efficient at receiving and identifying those eligible for asylum, so that redistribution efforts are more effective. Berlin also needs Athens to cooperate with Ankara on the plan to coordinate intelligence sharing by NATO vessels in the Aegean Sea on human trafficking organizations. In addition, Germany is wary of the multiplication of unilateral and regional moves in Europe. The refugee crisis has only exacerbated Europe’s political fragmentation, and a growing number of countries, especially those along the Balkan migration route that connects Greece with Austria, are defending the reintroduction of border controls. German Chancellor Angela Merkel fears that Berlin and Brussels are losing control of the political process in Europe. The end of free passage under the Schengen Agreement would hamper European economies by, among other things, increasing transportation costs. Closing borders would have serious political consequences, as countries could try to sever other aspects of the process of Continental integration in the future. Merkel is also worried that the current climate in Europe would have political repercussions at home, as anti-immigration groups gain traction. On the second anniversary of the start of Russia’s aggression against Ukraine, the BBC gave its viewers a chance to “look inside the war room” with a program featuring a committee of former senior British military and diplomatic figures. In a quasi-documentary titled World War Three: Inside the War Room, the participants are faced with a simulated crisis in which Russia uses “hybrid warfare” techniques to invade the eastern Latvian region of Latgale. And with absolute devotion and seriousness, the British officials on the program need to resolve the situation without it leading to a nuclear showdown or World War III (Baltic Review, February 5). After Russia’s conflict with Ukraine exploded into all-out war, it raised the alarming question of who might be Russia’s next target and what the North Atlantic Treaty Organization (NATO) might do if the Kremlin indeed turned its attention to the Baltic States, which, contrary to Ukraine, are Alliance members. The BBC program’s producers strived to generate the most imaginable and realistic scenario of a conflict in the region, which would reflect Russia’s previous and ongoing actions in Ukraine. World War Three: Inside the War Room was widely discussed among Latvian politicians and officials, who have mainly focused on the program’s demonstration of the decision-making processes within NATO, and whether or not Article V would be activated in a real conflict situation (Skaties.lv, February 4; Diena, February 24). But the relevance of the documentary’s crisis scenario itself, which essentially directly replicated Russia’s Ukraine strategy in the Baltics, is seriously questionable. Crucial differences between the situations in Latgale and southeastern Ukraine suggest that the BBC’s simulated scenario is actually quite unrealistic. In fact, there is little reason to believe that Russia would use the same strategy in Latvia as it employed in Ukraine. This is due to three major factors: First, unlike in southeastern Ukraine, Russia does not have specific economic or military interests in Latgale that would justify a military intervention there and bring Moscow in direct conflict with NATO. Second, unlike with the vast distances in Ukraine, Latvia’s small territorial size would invite a more traditional “blitzkrieg”-type invasion strategy by Russia. Moscow would presumably try to immediately militarily secure critical infrastructure throughout the Baltic country, rather than focusing on or opening with a limited “hybrid war”–style operation in the Latgale region. And finally, even if Russia were to choose to pursue a hybrid war strategy in Latvia, it would be unlikely to find sufficient support among Latgale’s population. Yet if the Defense Department’s innovation scouts get too focused on the corridor between San Francisco and San Jose, they risk missing out on existing or nascent technologies from America’s other innovation hubs. There are many U.S. centers of entrepreneurship and innovation in areas such as software, robotics, gaming, aerospace and life sciences. Of course, starting out in Silicon Valley makes sense. Giant tech firms like Google capture the headlines in America’s Bay Area innovation heartland, which accounts for a third or more of all venture capital money nationwide. The National Venture Capital Association tallied up venture investing in the United States at $48 billion in 2014, a decade high. Going to Silicon Valley and joining forces with titans like Schmidt sends a powerful signal that the status quo defense establishment needs a reboot. The Pentagon must not get stuck there, however. It needs to look nationwide. This approach requires embracing decentralization, which is not how the Pentagon sources military hardware and services. While today’s defense industrial base is distributed throughout the country for largely political reasons (Congress and contractors seed taxpayer dollars throughout the 50 states to ensure support of the biggest defense programs), a handful of major defense companies sit astride the market. An update of America’s defense industrial base — call it DIB 2.0 — is about expanding the roster of new players and innovators, to include entrepreneurs, venture capitalists and inventors throughout the country. Is the best defense a strong offense in cybersecurity? Summary: The US government appears to assume that — as with nuclear war — “the best defense is a strong offense” Cybersecurity expert Emilio Iasiello asks if this makes sense with cybersecurity, given the difficulty of identifying the attacker (attribution) and striking back at them (often amorphous non-state actors). However, such an approach, while aspirational, is actually limited. The diverse threat actor landscape consists of various levels and numbers of state and non-state actors. And while it may make sense on a political level to go after those individuals who conduct high-profile attacks that steal millions of dollars or puts millions of personal identifiable data at risk, improved cyber weaponry at the national level cannot be leveraged by most organizations and individuals. At best, we can “strike back” at the perpetrators, destroying the computer systems that launched the attack (assuming of course they only have one), or if we’re lucky, be able to track him down and with the help of international law enforcement, arrest and prosecute those responsible. That’s a lot of effort and investment of time, resources, and if necessary, facilitating collaborative strategies. Should your weird neighbor be allowed to mount a handgun on a drone and fly that drone around, firing the gun from midair via remote control? No, probably not. But there’s not much that you can do to stop him from launching his Glock-drone into the sky. The FAA does not specifically prohibit private citizens from owning and operating weaponized drones, and most states have not yet passed laws that would ban them. This is sort of scary, sure, but what can I say? It’s 2016 in America. Now, the Connecticut state legislature is considering two bills that, if passed, would make it one of the few states in the country to specifically prohibit the operation of weaponized drones. They are good bills with one major flaw, which I’ll get to later. But, first, some context is in order. The Connecticut bill comes as a direct response to the flamboyant antics of an anti-authoritarian teenager. In July 2015, an 18-year-old Connecticut man named Austin Haughwout posted to YouTube a video of a drone he had rigged to fire a handgun from mid-air. A few months later, Haughwout posted a sequel. This time, he had equipped a drone with a flamethrower, which he used to barbecue a turkey. "We embarked on this pursuit to understand what occurred," said Mr. Ludwig. "We want to share our knowledge in a way that people can leverage to better protect themselves."